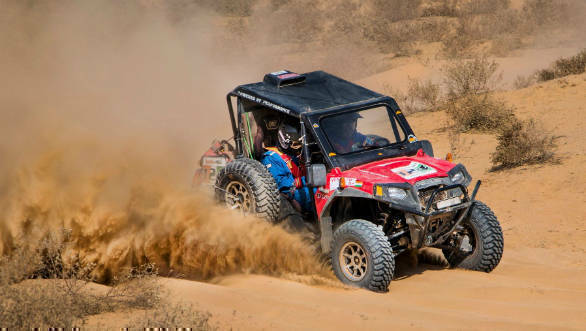 The third season of the India Baja began yesterday with preliminary checks, scrutinizing and briefings being completed on the first day of the event. Over the course of two days, August 18 and 19, 132 contenders will cover over 650 km around the deserts of Jaisalmer. There will be two categories of events - Moto (2-wheel motorbikes & Quad bikes) and Xtreme (4-wheel vehicles), with varying number of sub-groups & sub-classes in both the categories. Each entry in the Moto Category consists of the rider, while each entry in Xtreme Category consists of a driver and a co-driver. The competition is divided into 5 Special Stages (SS), three of which will be held on Leg 1 on the 18th. The last two stages, SS 4 and SS 5 will be held on Sunday, the 19th, before the prize distribution ceremony later on that evening. SS 1 to SS 5 will cover dunes, loose sand and gravel-filled natural terrains in a cloverleaf fashion around the competition base at Hotel Jaisalkot in Jaisalmer. These stages are meant to test the participants' driving skills, physical endurance, and mental strength. 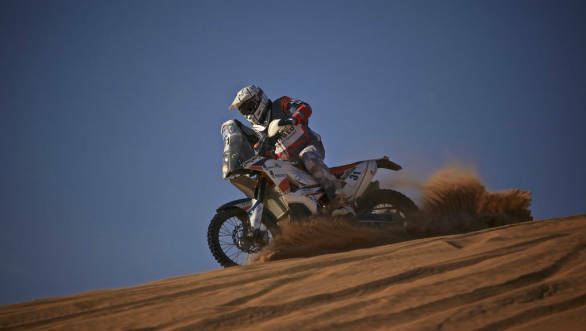 India Baja is based on the rally-raid format, participants need to cover long distances through offroad tracks in a given amount of time. India Baja 2018 will host the largest-ever contingent of top-level international riders in an Indian motorsport competition, including Dakar Rally regulars like Lorenzo Santolino, Aaron Mare, Benjamin Melot and CS Santosh. This event will also see the most number of women participants ever in any major international rally-raid motorsport event in India. 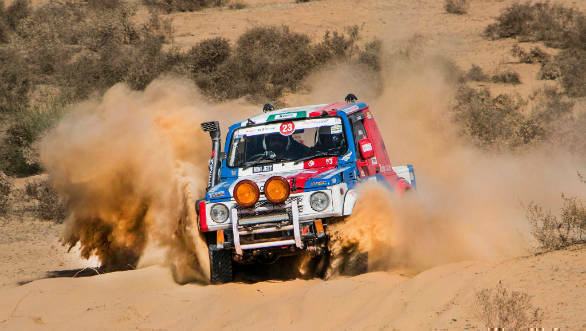 India Baja 2018 is a 'Road to Dakar' challenge, one of only five such events in the world. 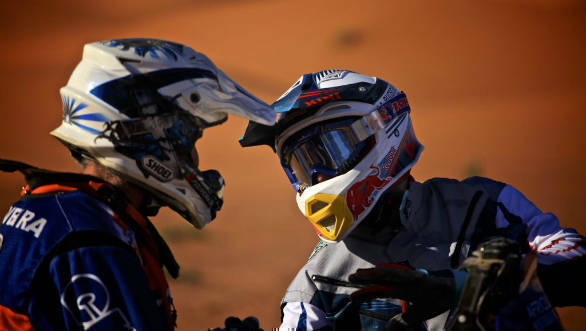 This means that the top finisher will get direct entry to the 2020 Dakar Rally. The India Baja 2018 winner will also be entitled to complimentary entry to the Afriquia Merzouga Rally 2019. Total monetary advantages to the winner of the competition amount to 20,000 or Rs 16 lakh, which covers the registration fee for one motorcycle in both events. Further, the top-placed contenders in all categories at India Baja 2018 will be awarded direct entry to the Maruti Suzuki Desert Storm rally of 2019.